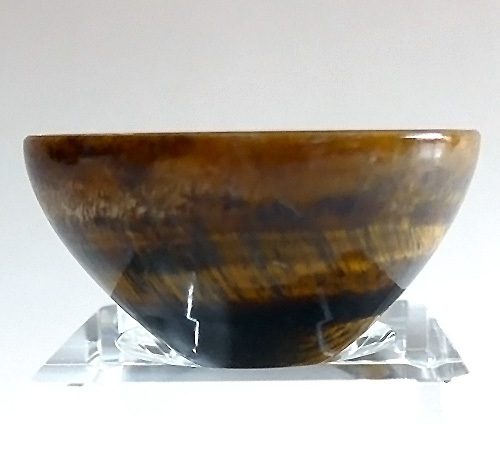 Dimensions (HxWxD): 1.2" x 2" x 2"
This amazing, luscious Luminous Tiger's Eye Bowl contains bands of fibrous, iridescent material ranging in color from root-beer brown to amber to forest green, with prominent bands of golden tones. This new batch has extraordinary chatoyancy! A delight to behold! Tiger's Eye contains quartz silica, chrysotile and Serpentine. 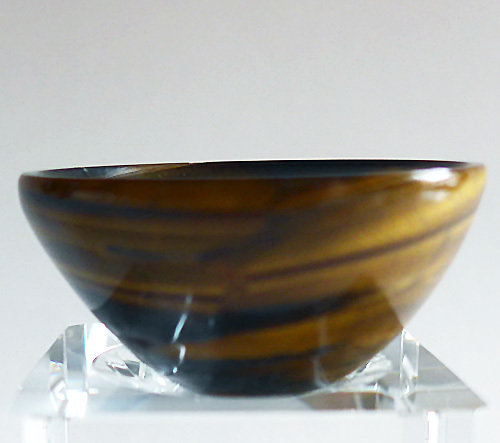 This Tiger's Eye Bowl is made from material approximately one billion years old, and comes from India. This unique collector's item exhibits a characteristic brilliant watery reflection on its surface as light changes or one's point of view shifts. This is known to gemologists as "chatoyancy". Meditators can place this Tiger's Eye Bowl on their altar, where it makes a striking centerpiece for offerings to the Divine, and use their intent to direct the energies of the Tiger's Eye to their heart and especially to their crown chakra, where the gemstone will facilitate the rising of the Universal Life Force Energy from the base of the spine to the top of the head. 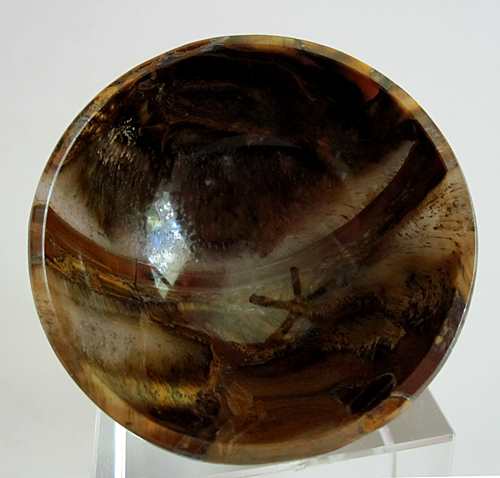 We find that Tiger's Eye assists us in grounding spiritual energy & manifesting it in the world in our daily lives. 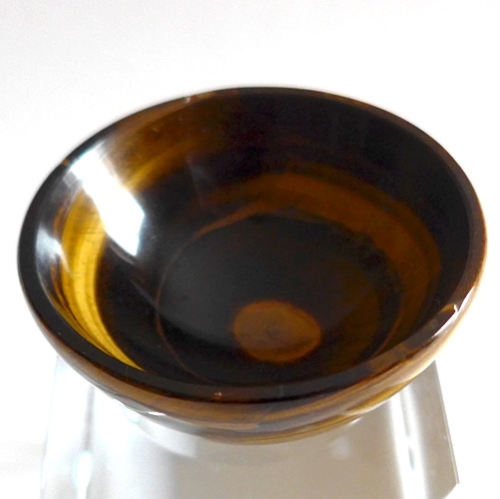 This gemstone bowl has been cleaned with Universal Life Force Energy, and given an energy attunement using Reiki, a Japanese technique of energy healing, so it will continue to receive and transmit Universal Life Force Energy direct from the Source of Creation. It has also cleaned and charged with the natural energy of sunlight. It is ready for you to program according to your own needs and desires. We trust you will use this powerful gemstone bowl with loving wisdom and respect its long journey in the Earth that has lasted for many long historical cycles. This crystal is a powerful tool, a love-gift from the Divine Mother. Weight above is shipping weight. Average weight is 2.25 oz. Each piece is unique and may vary slightly in dimensions and appearance. Each piece is guaranteed to be beautiful and to meet with your complete satisfaction!